This is the first comprehensive analysis of the work of Fredric Jameson, one of the most important cultural critics writing today. 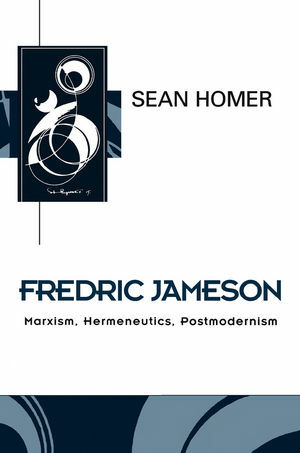 Homer provides a clear exposition and appraisal of Jameson's theories and an assessment of his contribution to contemporary cultural theory. <b>Sean Homer</b> is Lecturer in Psychoanalytic Studies at the University of Sheffield. Sartre: From Situation to History. Part I: The Dialectics of Form: . Part II: History: The Political Unconscious: . Part III: The Politics of Desire: . Versions of a Libidinal Apparatus. The Dialectic of Ideology and Utopia. Part IV: Postmodernism and Late Capitalism: . The Periodization of Late Capitalism. Video Art and Postmodern Textuality. Realism - Modernism - Postmodernism. The Dialectic of Modernism and Postmodernism. Part V: The Spatial Logic of Late Capitalism: . The Reassertion of Space in Social Theory. The Social Production of Space. The Spatio-Temporal Dialectic of Modernity and Postmodernity. Part VI: Marxism, Totality and the Politics of Difference: . The Postmodern Critique of Totality. The Third World: Identity and Difference. * This is the first full-length study of the work of Fredric Jameson. * The book is wide ranging and comprehensive, offering a sustained discussion and analysis of all of Jameson's major writings. * Jameson is one of the most important and provocative cultural critics writing today.